Web Tiles are here! And really, really easy! 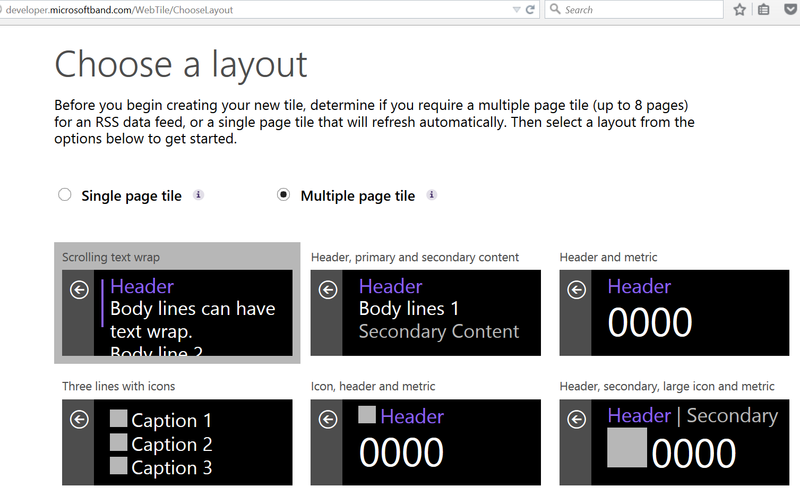 However, if you just want to throw together a Web Tile for your favorite newsfeed, this post is still useful. The Web Tiles for Microsoft Band are here, and they’re even easier than I’d imagined they would be: Microsoft has provided an online generator that puts together the necessary JSON and packs up the icons into the .webtile package that your phone’s Microsoft Health app uses to load the Web Tile onto your Band. For a “Preview” product, it’s pretty slick. – A transparent PNG that is 46×46 pixels for the main Tile icon, and 24×24 for the small “badge” icon that will be displayed when there is a count of new items in the feed. Paint included with Windows can’t do this for you, but Photoshop, GIMP or Paint.Net (what I used) can.